When St Paul's Church in Bristol's Portland Square was brought into our care in April 2000 it was a broken shell with a multi-million pound repair bill, in an area of town with a negative image due to high crime rates and limited social resources. 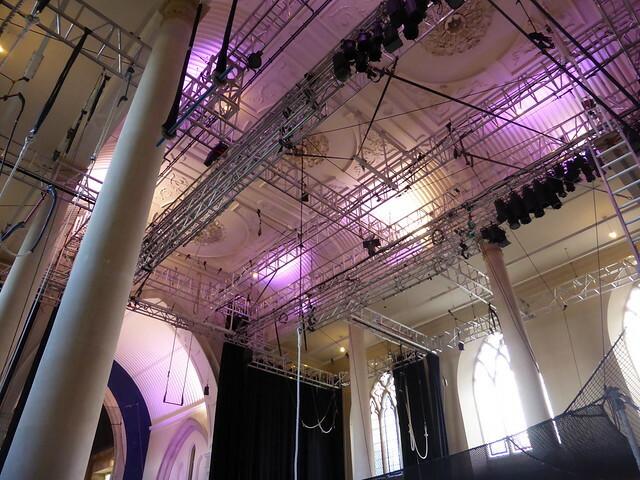 A partnership was formed with Circomedia – a Bristol-based - and leading - school in circus skills and physical performance; working together a project was formed combining the artistic and creative vision of Circomedia with the skilled conservation work of the Churches Conservation Trust. The project received support, to the value of £2.3 million, from the Heritage Lottery Fund, and was recognised in an international RICS Community Benefit Award in 2007, received the Hudson Heritage Award for the best re-use of a heritage building in 2012, and a European Nostra Laureate award. It continues to contribute to the regeneration of a previously very run down and neglected part of Bristol. The building provides a citywide landmark for the St Pauls community, for it's people to take pride in. The building's restoration and the increased footfall in the conservation area of Portland Square have contributed significantly to safety and reduction in street crime. The space can be hired for a wide range of events and activities from private parties, conferences, wedding receptions, fundraising charity events, filming, jobs fairs and even hot air balloon testing to contribute to the project's sustainability and independence. Learn circus skills in a Grade I listed church.